The rescue effort of a YouTuber in ‘Fortnite’ involved a cliff and an ATK and it ended hilariously, getting players and Epic laughing. Acts of kindness among players are often seen in “Fortnite” as they try to help each other regardless whether they win or not. Such deeds, however, sometimes end up in a hilarious fashion just like what happened to a well-known YouTuber. The content creator known as Muselk has a pretty massive following over on YouTube with almost six million subscribers under his belt. A recent “Fortnite” gameplay of his has been trending lately as it featured one of the funniest clips in the third-person shooter. 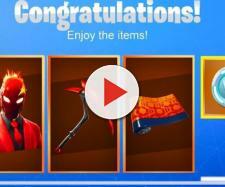 According to the video, the YouTuber landed on the edge of Paradise Palms and he immediately spotted an enemy. From the looks of it, the enemy was trying to drive the ATK over the edge of a cliff. However, upon further investigation, he came at the assumption that the player was just trying to save another player that might have fallen down the cliff without any building mats. Muselk then devised a plan to save the poor fellow. However, he could no longer build further down and concluded that the player was stuck and not able to build on that part of the map. He further figured out that the player that he eliminated early on was intentionally driving the ATK off the cliff for the other one to bounce off the vehicle’s roof to build his way up. He then went back up and drove the ATK off the cliff. The rescue attempt went through a 180-degree turn though when the vehicle that was supposed to help the player accidentally hit him and got him eliminated. 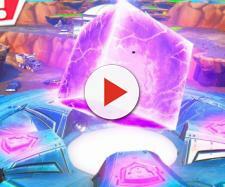 The two-minute video was initially posted over on the game’s subreddit by u/PointyHatMan and garnered a huge number of upvotes. A couple of Epic Games employees took notice of the clip and one commented that it had him rolling. The other commented that he seriously laughed out loud in the middle of the office, adding that the comedic timing was spot on. They went on, saying that they'll be looking to what happened in the clip, adding that it may have likely just slipped in. 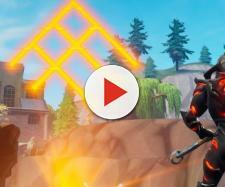 The clip also made it to “Fortnite’s” official Twitter page and has raked in over one million views at the time of writing. It has been retweeted over 30,000 times and received over 100,000 likes. Muselk rarely streams all by himself as he prefers to play alongside with his buddies. He and his streamer friends have the Variety Mondays where they play games other than “Fortnite.” He uploads videos on a daily basis on his YouTube channel and he is well-known for those so-called meme kills.